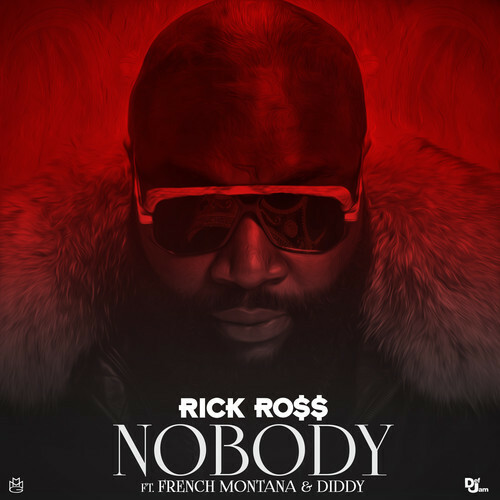 Rick Ross links up with French Montana and Diddy for his lastest single, “Nobody,” which is due to be featured on Rozay’s new LP, Mastermind. The MMG general gets the green light to channel his inner Notorious B.I.G. for his new track and bosses up over an infectious instrumental inspired by the late rapper’s song, “You’re Nobody (Til Somebody Kills You). French Montana lends his signature lazy flow to the track for a catchy chorus. Take a listen to Ross’ latest offering below and look out for Mastermind to hit stores on March 4. Sean “Diddy” Combs caught up Arsenio on his late night talk show for a one-on-one interview in front of a live studio audience. Viewers at home also tuned in as the Hip Hop entrepreneur opened up for the cameras and discussed his earliest memories as a child of his father. The Bad Boy head honcho also boasted about embodying his deceased father’s hustler spirit and charismatic characteristics. Before the clip fades to black, Diddy addresses how important it is for him to spend time with his kids despite his demanding schedule. 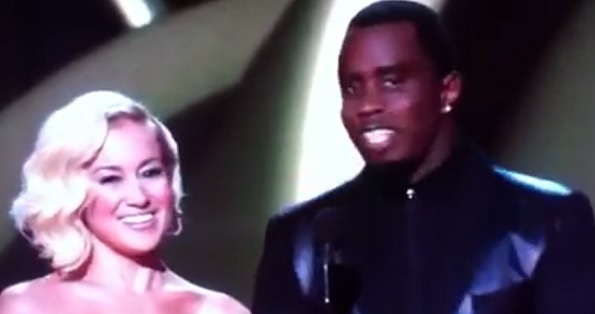 Sean Combs made an appearance last night at the 2013 Country Music Awards as special guest presenter alongside Kelly Pickler. 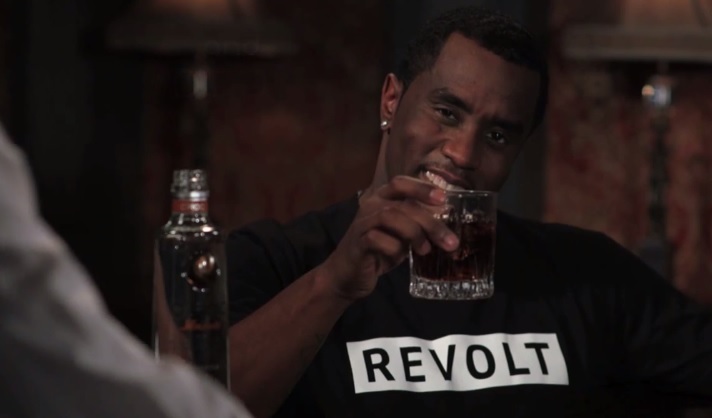 Never one to let an opportunity for a shameless plug go to waste, Diddy decided to express his love for all music genres and explained that was the reasoning for the birth of his new music network Revolt TV. Take a look at how the awkward exchange of dialogue went down live on television. With a glass of Ciroc by his side, Diddy sits down with Jimmy Kimmel to participate in the TV show host’s “3 Ridicolous Questions” segment. The New York native speaks on what he would do if he discovered big foot, says he would change his name for $500 million and touches on what it feels like to be admired by so many. Take a look at the short promo clip which does a good job of serving up a few laughs for viewers. 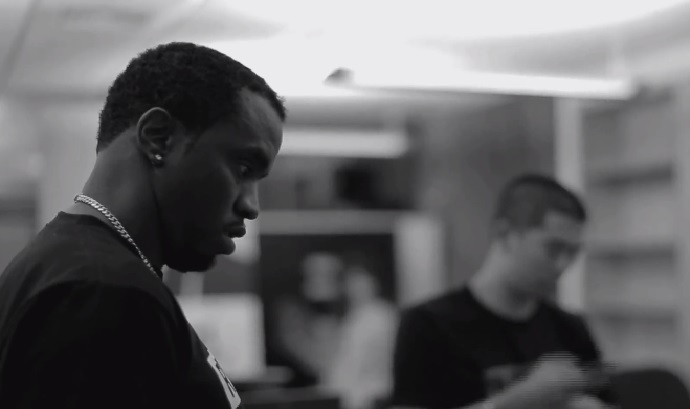 Here’s a compilation of some footage put together that chronicles Mr. Sean Combs’ busy day as he handles a last minute promo run for the launch of his new music network Revolt TV. Follow along with Diddy as his busy day kicks off with an interview with the HOT 97 morning show at 7:30 a.m. and ends in the evening at his star studded launch party. As the clock comes winding close to launch time, unexpected technical difficulties also become a concern and just another obstacle for Diddy to overcome. Puff continues his promotional run for Revolt TV and this time heads over to everyone’s new favorite talk show Jimmy Kimmel Live to get viewers the scoop. Clearly in a playful mood, Sean Combs gets into details behind his dream to be the first black owner of an NFL team, addresses the launch of Revolt TV and clarifies he was riding with team Kanye when the G.O.O.D. Music rapper had beef with Kimmel after his parody spoof fiasco. Kimmel takes the opportunity to point out to Diddy that he had multiple reality shows on MTV early on and jokingly asks the entrepreneur if he had always plotted to ruin the network to only replace it with his own. 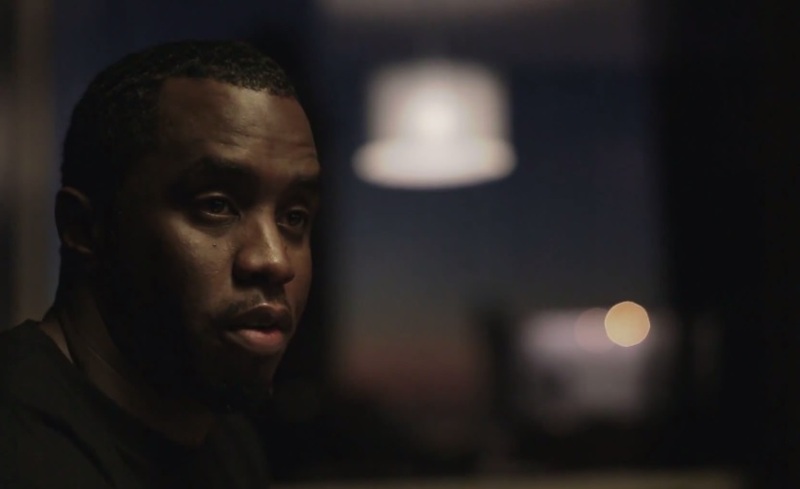 Revolt TV showcases a short clip from Diddy enjoying his early morning breakfast and taking the opportunity during his down time to open up and share details with viewers about who his father was. The Bad Boy head honcho speaks from the heart and explains why he believes his father’s hustler mentality played a big part in his own life after revealing he made his living as a drug dealer in Harlem. Watch the intimate clip as Diddy confesses his feelings about his dad, Melvin Combs, and briefly shares what his life was like growing up without him in his life after he was murdered. Enter your email address to stay up-to-date with ItsTheDaily.